If you are shopping for window film or maybe just considering having it applied to your Dallas home, you have come to the right place. Here at Greenlight, we can help explore the window film options available to you here in the Dallas area. We understand that the selections can be overwhelming to our potential customers, which is why we like to highlight particular brands from time to time. And don’t you worry–all of our window films are high quality and equipped to do the job they are made for. One of these hard working brands is 3M Thinsulate for residential applications. Read below to find out why it may be the right option for you and more about its benefits. If energy savings through solar control in the summer months is of importance to you. *3M Thinsulate could save you 10% or more on bills. If you want a window film that greatly blocks harmful UV rays coming into your home and prevents the fading of furnishings, floors, and upholstery. If these types of benefits are on your list of things you want in a window film for your Dallas home, contact us at Greenlight Window Films today. We have installed tens of thousands of feet of window film in the Dallas area and in most other parts of the US. When you work with us you all but guarantee the efficacy and long life of your window film for years to come. 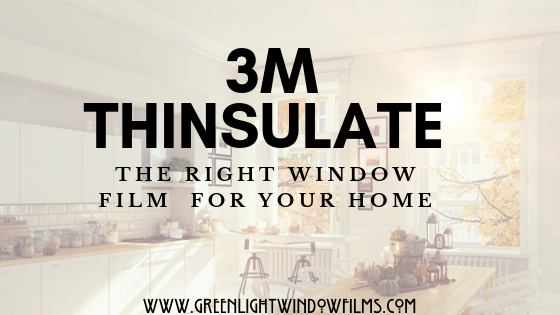 3M Thinsulate For Homes from Kansas City Green Window Film on Vimeo.